Tim celebrates more than 10 years of award-winning TV journalism, covering breaking news, politics, tropical storms and crime throughout the southeastern United States. Tim is no stranger to the Triangle. He grew up in Person County - just north of Raleigh-Durham. After working in Washington D.C. as a writer for various news publications and a media strategist for a nonprofit, Tim is happy to return home to his roots in North Carolina. 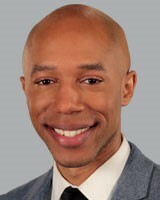 You can find him covering local and breaking news weeknights on ABC11's television, digital, and mobile platforms. His television career began in Wilmington, N.C. and later in Columbia, S.C. where he was a reporter and anchor. While in Columbia, Tim was honored with a Salute to Excellence Award from the National Association of Black Journalists and a local Media Champion Award from the Richland One Community Coalition for his in-depth coverage on synthetic drugs and its impact on young people. He was also president of the South Carolina Association of Black Journalists. Tim's reporting adventures also took him to Florida where he broke several crime stories and covered high profile court cases, such as the verdict in the George Zimmerman trial. In 2015, his news reports on the Michael Dunn murder trial were featured in an award-winning HBO documentary titled "3 1/2 Minutes: Ten Bullets." The film examined the life and murder of unarmed Jacksonville teenager Jordan Davis. In 2017, Tim Pulliam was named Reporter of The Year by the Associated Press and the Radio Television Digital News Association of the Carolinas. Pulliam is a graduate of Winston-Salem State University. In 2019, the University named him among the top 40 alumni under the age of 40. Pulliam earned his master's degree in communication from the Johns Hopkins University. In 2016 he received a Salute to Excellence Award in Journalism during the National Association of Black and Hispanic Journalists convention. Tim covered the historic opening of the Smithsonian National Museum of African American History and Culture in Washington D.C., where he interviewed both Oprah Winfrey and Stevie Wonder. Read the story here. When Tim is not covering the news of the day, his hobbies include physical fitness, exploring new restaurants, and traveling throughout the country and abroad. Request Tim to speak at your event. "I'm still picking out glass. Constant headaches I have not been able to escape," Rich Meyer said. "I keep getting waves of emotion that come over me and I just can't stop crying." Durham leaders spoke about bringing business back to Brightleaf Square weeks after an explosion damaged the area. Cumberland County Schools has joined Wake, Durham and Orange counties in closing for students on May 1 -- the day teachers plan to rally in Raleigh. Durham police say they will look into a video showing an altercation between an officer and a teen at a convenience store in January. Parking has always been an issue near Brightleaf, and now the problem has been compounded, business owners in the area say.